Rooney & Associates helps Alarm Company Owners sell their Accounts or Companies. We facilitate financing to grow Alarm Companies. We also help Buyers acquire Companies. As an Executive for Guardian Alarm, CSS, and his Companies Sentry Alarm Systems and Rooney & Associates, John helped more than 100 Owners receive more than $500 million for selling their Alarm Companies. We've also helped arrange more than $500 million in financing for Alarm Company Owners. Rooney & Associates accomplishes results through an array of services that solve financial needs or lifestyle desires of Company Owners. These needs include developing and executing exit strategies, brokering mergers and acquisitions, and arranging financing for growth minded owners. 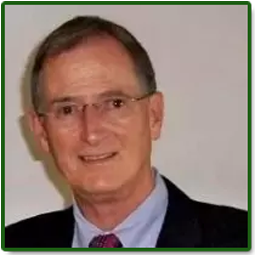 John Rooney founded Rooney & Associates in 1997 after selling his Security Company, Sentry Alarm Systems of America with seven branch offices in Florida. Sentry at the time was one of the country's largest security companies and was a 1990 winner of the SDM Dealer of the Year Award. After selling his company John decided to use his background in Company Ownership, Finance, Operations and Mergers and Acquisitions to help Alarm Company Owners sell their companies or secure financing to grow their business. Since that time, John has helped more than 100 company owners sell their companies and has secured more than $500 million in financing for his Companies and Clients. Learn more about John Rooney. Rooney & Associates exists to help Alarm Company owners realize great personal satisfaction and wealth when selling their Company, and to help arrange financing for growth minded owners that want to make the world a safer place. Integrity – We say what we will do and we do what we say. Excellence – In everything we do, we hold ourselves and our partners to extraordinarily high standards of ethics, performance and accountability. Optimism – We focus and act on what is doable and good while approaching challenges with a "can-do" attitude and positive mindset.